Always on the hunt for delicious low fat recipes. I recently had a girly dinner and as bikini season is fast approaching I thought I had better lay off the fancy cakes. 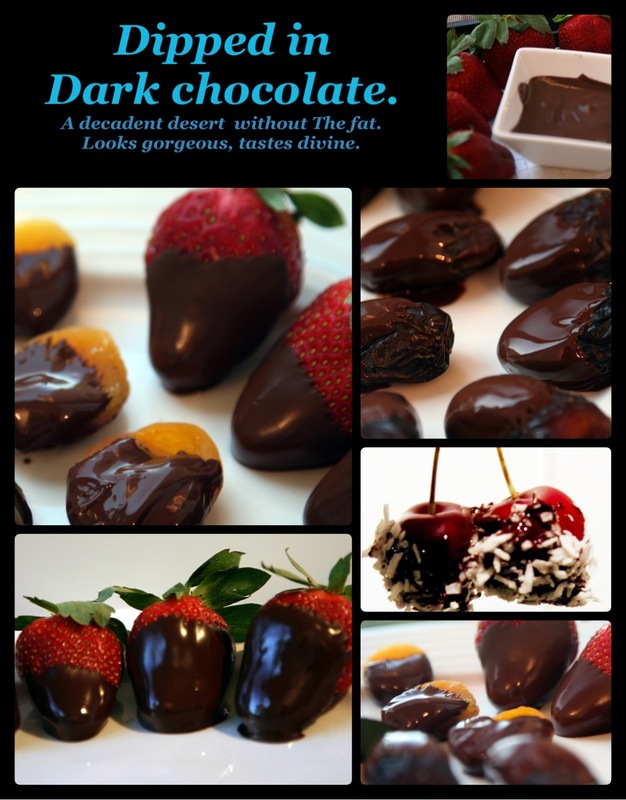 Chocolate dipped strawberries are always a crowd pleaser and if you use dark chocolate it is almost healthy!! I got over excited when I hit the markets and decided to experiment with other fruits too!! I purchased some dates and apricots and some cherries. I dipped the cherries in the dark choc and then rolled them in coconut. Like a tiny fresh cherry ripe, it not only looks very kitsch and cute it is delicious!! I made extras and took them as my 3pm work snack instead of popping down to the shops. The dates were amazing too.. like caramel chocolate! !